Features: Express your style with these fringe earrings! 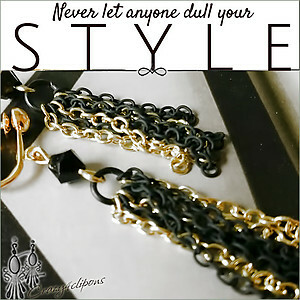 Combining bright gold chain with matte black accents. Avail as Pierced & Clip ons. Handmade in CA, USA.